This week’s Photo Challenge is about showing people at their everyday activities. Here are some images of people in everyday situations (to them, I believe) which looked pretty cool (to me). 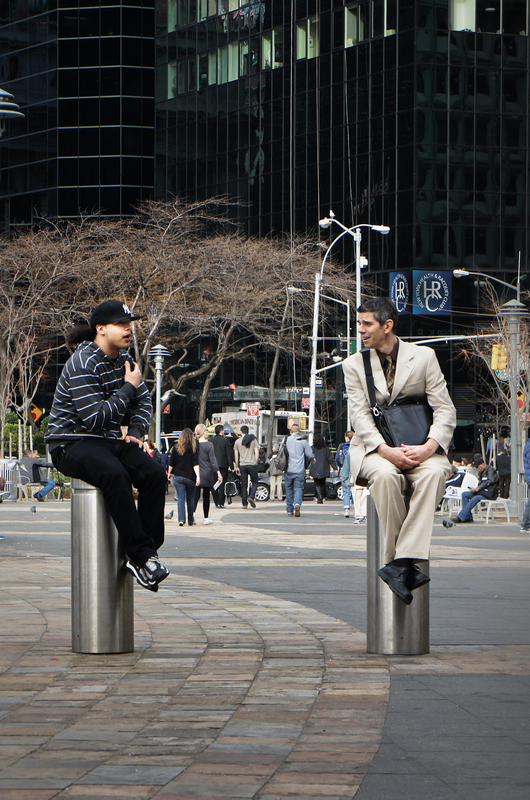 These men paused to talk in Manhattan, at the Staten Island Ferry plaza. Old friends who took different directions? Or strangers rehashing a Yankees game? 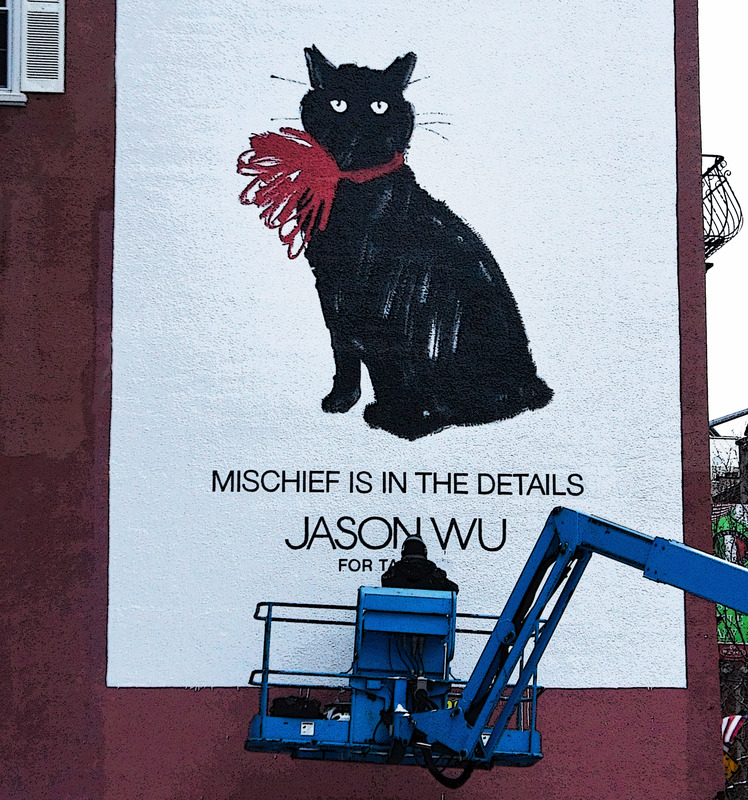 This man is painting an ad on the side of a building in lower Manhattan on a freezing cold day in January. His precision was amazing. He wore big headphones – blocking noise? Listening to a song about mischief? I don’t think they had any idea how beautiful their choreography looked from above. Taken from the High Line, NY. 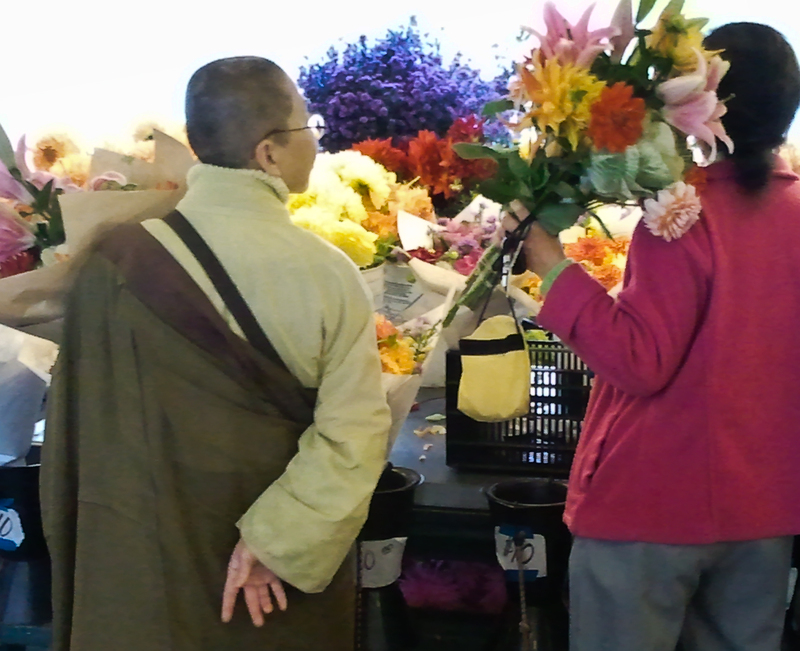 A Buddhist nun and her friend buy flowers at Pike Place Market in Seattle. Very possibly an everyday activity for them – but to my eye a delicious image. (Too bad it was taken on the run with the phone). 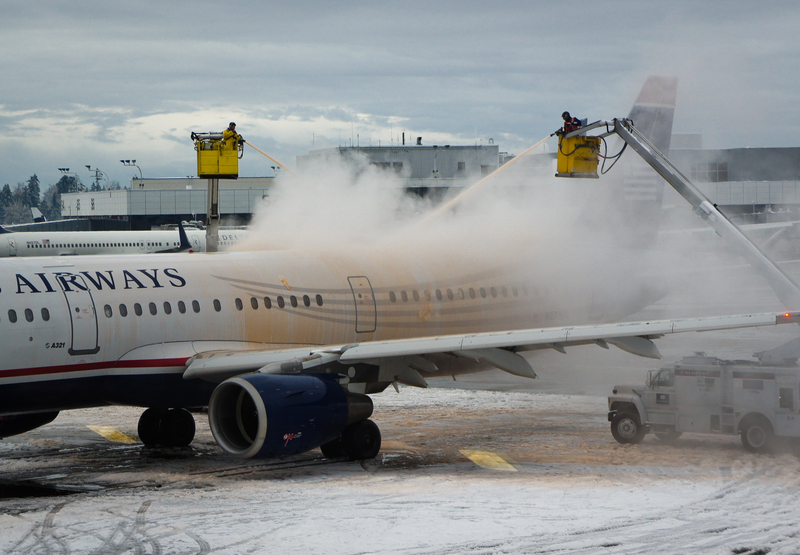 An ice storm closed Sea Tac Airport in Seattle. When it finally re-opened there was lots of work to do. An ordinary day for them – just keeping us from falling through the air from an unacceptable height. Everyday for them, joy for me. 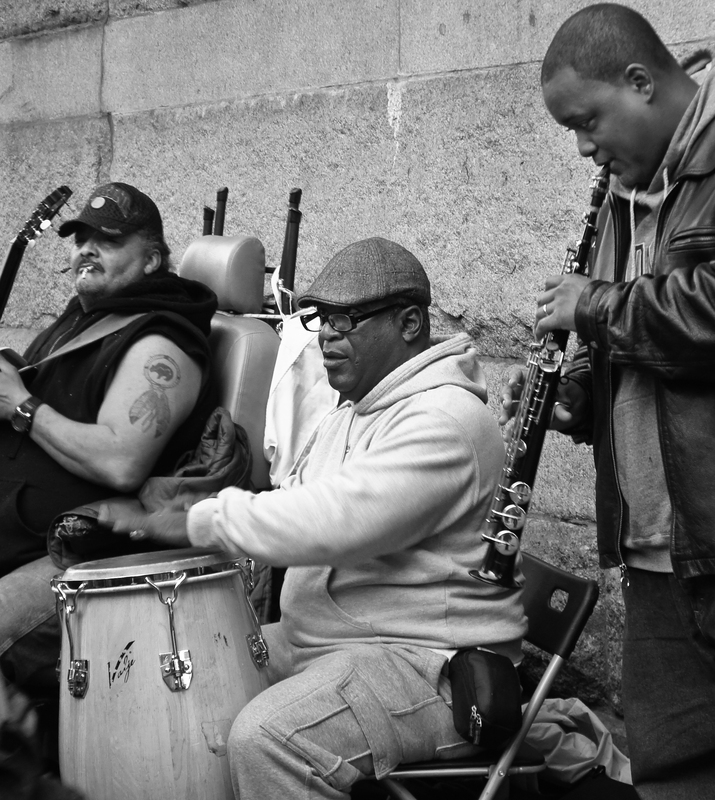 Street musicians in downtown Philadelphia. 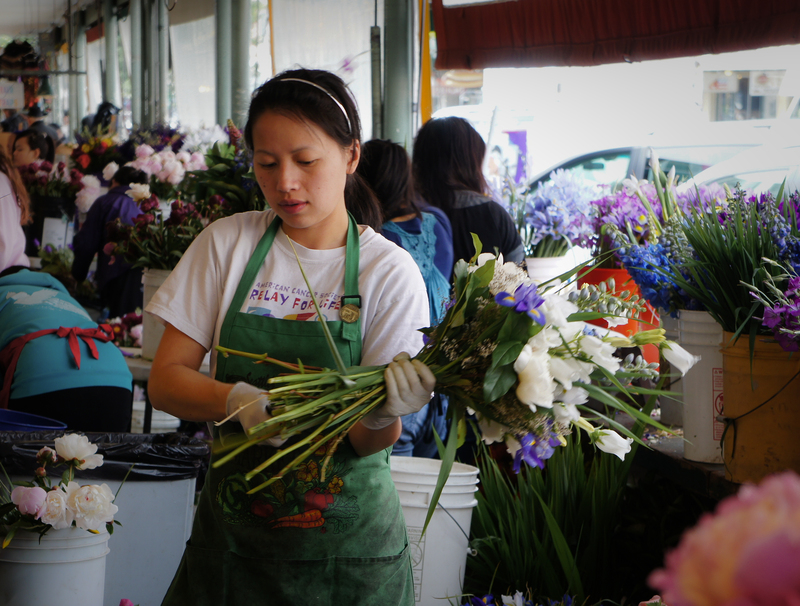 Cutting stems for a bouquet at Pike Place Market. Another day for her, but for me – well, almost a Pre-Raphealite moment. This entry was posted in photography, Uncategorized, urban, Weekly Photo Challenge and tagged airplane, airport, Buddhist, drum, everyday, market, musicians, New York, Seattle, sign painting, tatoo, winter, work. Bookmark the permalink. what a great collection. 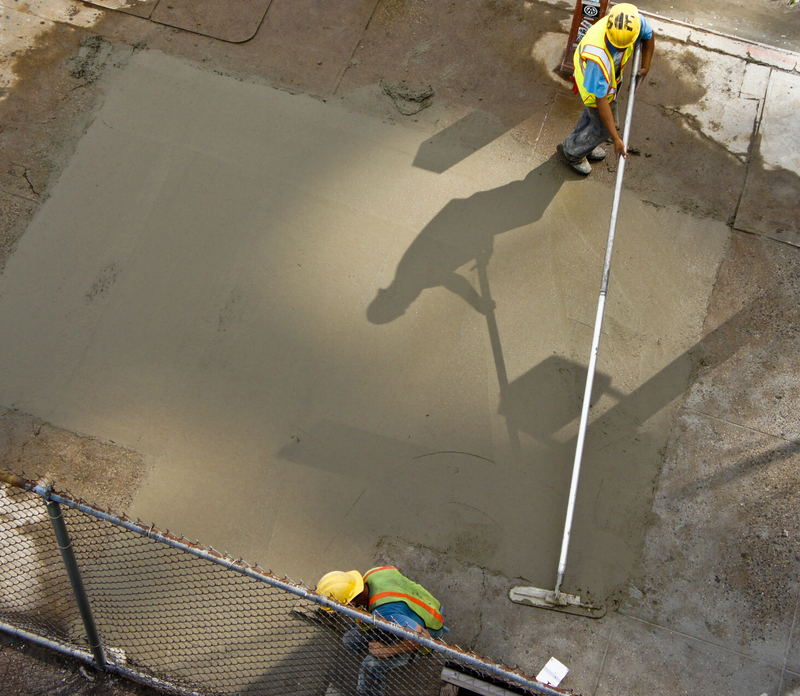 i especially like the shadows at play in the image of the two men smoothing out the concrete. thanks for sharing. Thank you SO much. I love cities, and I really enjoy putting groups of photos together, so again, thanks. A diverse and interesting range, well seen and well captured. Thank you! A lucky moment, to be sure. I’m training myself to be ready to record them. thank you for sharing the street musicians in downtown Philadelphia!